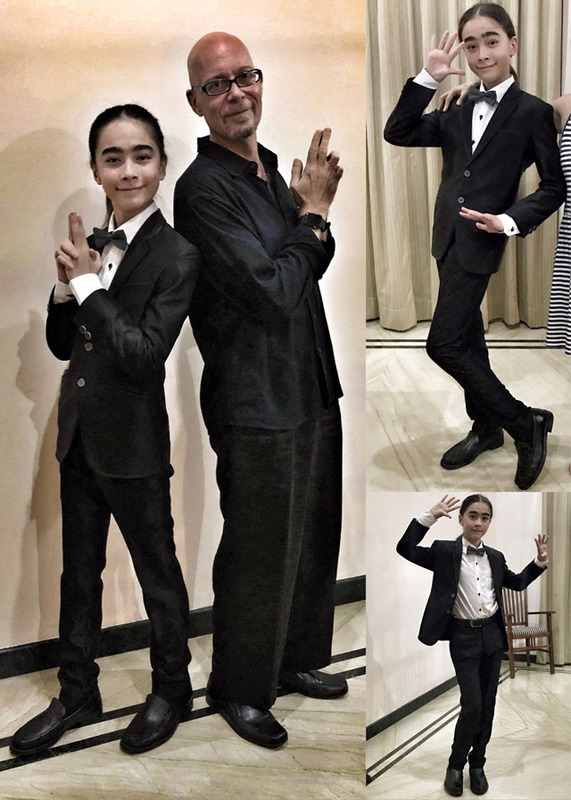 He is all ready and properly dressed up for his 007 / James Bond themed school dance / dinner / awards show. This entry was posted in Julius. Bookmark the permalink. Yes, Peter, I knew it was the theme….and he captured it well….